Tocci has been constructing buildings throughout the Northeast for nearly a century. Our experience informs our three core offerings for clients within the built environment. Our innovative process delivers value for clients, regardless of service or delivery method. Since starting 1922, we’ve learned a thing or two about construction technology, delivery methods, and the expectations of other key stakeholders — owners, architects, and subcontractors. Regardless of delivery method, Tocci consistently delivers projects using Virtual Design and Construction (VDC). In 2008, Tocci built the first IPD project in the Northeast; since then, we’ve developed more IPD expertise and experience than any builder in the Northeast. IPD is a new contract form and design/construction process that enables all parties to work together in the spirit of cooperation, collaboration and mutual respect for the benefit of the project. Opportunities to succeed are directly tied to the performance of other project participants through shared risk and reward. A key feature of IPD is early and ongoing collaboration by everyone on the extended design team – both in person and by using the digital model. Although members work together collaboratively, each is an independent contractor, individually responsible for directing and managing its own work within its area of responsibility and expertise. Tocci excels at Construction Management at Risk (CMAR), a delivery form where the client engages a qualified builder to meet specific quality, schedule, and cost requirements. Although it is a more traditional delivery method, which contractually separates builder and architect, Tocci’s process using BIM adds significant value throughout preconstruction and construction. Tocci delivers BIM-enabled Design/Build to provide clients a single point of accountability for all aspects of project performance. Our approach enables selection of a design team with the process, experience, and reputation most appropriate for the project. Tocci also has experience delivering Design/Build projects turnkey. Tocci’s Process Transformation service enables lifecycle BIM adoption at the project and enterprise level. Whether you’re adopting BIM on a single project, multiple projects, or as an organization, BIM is a complex undertaking; its 10% technology, 90% sociology. Tocci makes it simple. 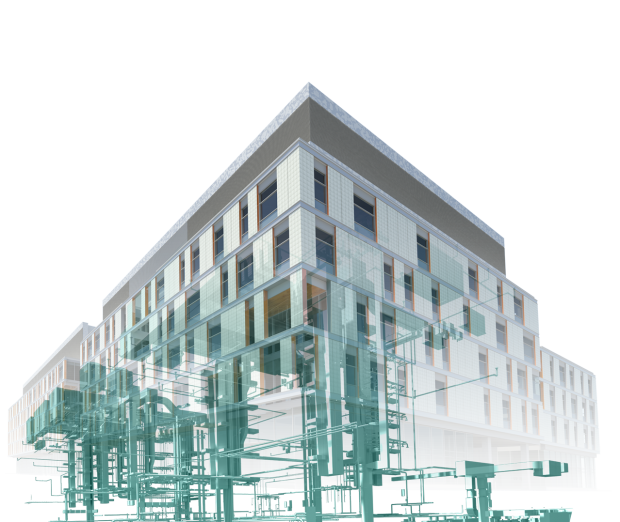 Our BIM experience is unmatched in the Northeast, and our approach addresses both the technology and the sociology of BIM. Tocci facilitates BIM on projects to support teams with integrated BIM delivery. Although Tocci’s scope of services varies depending on the project and client, our involvement enables maximum results from BIM. Early in a project, Tocci will work with the team to develop a BIM Execution Plan (BEP), a framework for strategically implementing BIM that include best practices, standards, and protocols. Throughout the project, Tocci performs BIM Healthchecks to validate and then adjust the team’s process and digital data. Tocci can also work with clients to calculate the return on investment of BIM on projects; Tocci considers Key Performance Indicators (KPIs) including cost, construction waste, schedule performance, and project risks. BIM implementation requires process transformation that is unique to your business. Tocci works with clients to develop a Long-Term Roadmap, which outlines the desired goals, tactical steps, and required resources for BIM adoption. Our collaborative approach enables organizations to learn about BIM as they develop their strategy. We often work with clients to implement the Long-Term Roadmap, which includes tactics such as BIM Standards, Training Programs, and Pilot Projects. Tocci Building Corporation combines over ninety years of building experience with a unique collaborative process to optimize the cost, design, and assembly of buildings that perform efficiently and delight users.